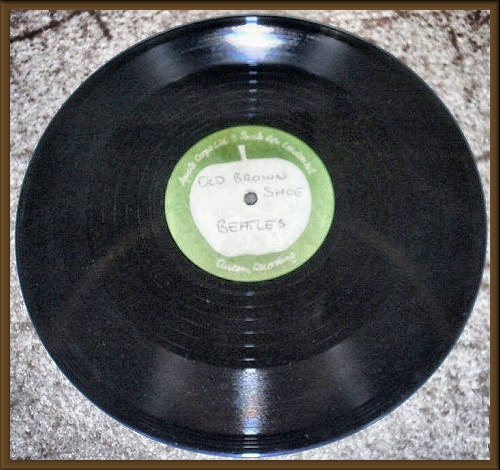 Here is a very rare Beatles item from the 60’s. 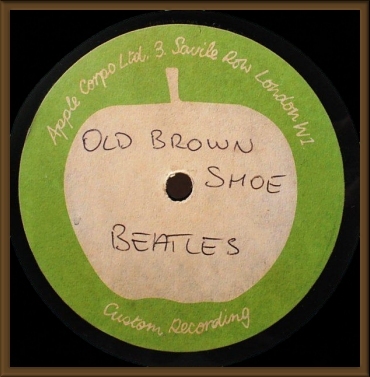 This is a UK one sided, 10 inch APPLE acetate copy of „Old Brown Shoe”. This version is very different from the released one. The released version runs 3’15, while this acetate runs 2’58.